Women who had a false positive result from a screening mammogram were more likely to delay or forgo their subsequent screening mammogram than women who had a true negative result, suggests new research outlined in Cancer Epidemiology, Bio markers & Prevention, a journal of the American Association for Cancer Research, published under the leadership of Firas M. Dabbous, PhD, manager of patient centered outcomes research at the Russell Institute for Research & Innovation at the Advocate Lutheran General Hospital in Park Ridge, Illinois. Women who have a false positive result from a screening mammogram often experience emotional, physical, and economic stress, according to Dabbous. How the Study Was Conducted and Results: For this study, Dabbous and colleagues obtained data for women who received mammography screening through a large health care organization with multiple facilities in the greater metropolitan Chicago area. 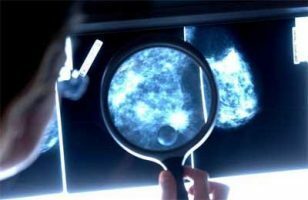 Among the 741,150 screening mammograms from 261,767 women included in the analysis were 12.3 percent that yielded a false positive result; the remaining 87.7 percent yielded true negative results. The researchers found that women who had a false positive result were significantly less likely to have a subsequent screening mammogram in the database than women who had a true negative result; 22.1 percent of women who had a true negative and 15.0 percent of women who had a false positive had at least one subsequent screening mammogram in the database. Among the women with more than one screening mammogram in the database, those who had a true negative result from the first mammogram were 36 percent more likely to have returned for a subsequent screen in the next 36 months compared to women who had a false positive result. When delay in having a subsequent screen was defined as any mammogram performed more than 12 months after the first screening mammogram, the median delay was found to be significantly higher for women who had a false positive result compared with those who had a true negative result. The median delay was 13 months for those who had a false positive result compared with three months for those who had a true negative result. The researchers then reanalyzed the data using different statistical methods to eliminate the chance for bias in the methods. Using propensity scoring matching, they found that women who had a true negative result were 34 percent more likely to return for a subsequent screen than those who had a false positive result and that the median delays in returning for a subsequent screen were six months and 13 months, respectively. In addition, the researchers found that the four-year cumulative risk of a late stage at diagnosis was 0.4 percent for those who had a false positive screening mammogram compared with 0.3 percent for those who had a true negative result. This difference was statistically significant. “This [the fact that having a false positive screening mammogram caused women to delay coming back for their next screen] suggests that we need to more actively encourage women who have a false positive result from a screening mammogram to adhere to routine screening mammography recommendations because it has been shown to reduce breast cancer mortality,” said Dabbous. According to Dabbous, the main limitation of the study is the lack of ability to follow the women who did not show up for their next screen in this health care system because some may have received subsequent mammograms at different institutions. However, he noted that the results were similar when restricted to those who remained in the system and so the researchers are confident that this limitation did not bias the results.